India has always been a business hub for many countries, it has emerged from solely being an agricultural economy to booming industrial economy since 1991, Indian manufacturing has become more integrated with the rest of the world. To regulate these business practices, number of laws like Contracts Act 1872, Companies Act, 1956, 2013, Factories (Amendment) Act 1987 were enacted before and still new Laws like GST Bill, Insolvency & Bankruptcy Code have been enacted. 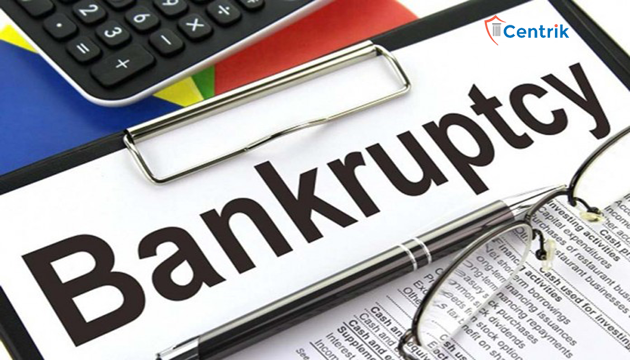 Insolvency & Bankruptcy Code, 2016 was one such law which was enacted by the Government of India, which aimed to repeal the Presidency Towns Insolvency Act, 1909 and Sick Industrial Companies (Special Provisions) Repeal Act, 2003, among others. On November 23, 2017, President Ram Nath Kovind had given assent to the Insolvency and Bankruptcy Code Amendment Ordinance, 2017, making major amendments to the Insolvency and Bankruptcy Code. In this article we will discuss about the previous Insolvency and Bankruptcy law and changes that have been improvised post amendment bill in 2017. INSOLVENCY: Inability to pay debt/erosion of net worth was balance sheet-based. Reorganization and winding up were dealt with under separate laws. There was no surety of debt recovery under various laws (such as the Contract Act, Recovery of Debts Due to Banks and Financial Institutions Act 1993, Securitization and Reconstruction of Financial Assets and Enforcement of Security Interest Act 2002). Besides, the firms’ recast under SICA (Sick Industrial Companies Act) or winding-up action under the Companies Act 1956 wasn’t successful; laws dealing with individual insolvency were also a century-old. INSOLVENCY: Proceedings can be initiated upon default of more than Rs 1 lakh (based on payment default). Genuine business failures get a second chance. In the new dispensation, control shifts from shareholders/promoters to a committee of creditors. The Insolvency and Bankruptcy Code (Amendment) Bill 2017 allows defaulting promoters to be part of the debt resolution process, provided they repay dues in a month. It has also paved the way for asset reconstruction companies, alternative investment funds (AIFs) such as private equity funds and banks to participate in the bidding process. The government expanded the scope of the new insolvency rules to bring individual businesses under its purview. Part III of the Insolvency and Bankruptcy Code, 2016, deals with insolvency and bankruptcy of individuals and partnership firms. The USP of the Code is time-bound completion of process of recovery of bad loans. In my view, the whole debtor-creditor relationship will undergo a change and this is positive from the perspective of improving the credit culture of the country. This will lead to better availability of credit and eventually help in improving the ease of doing business.